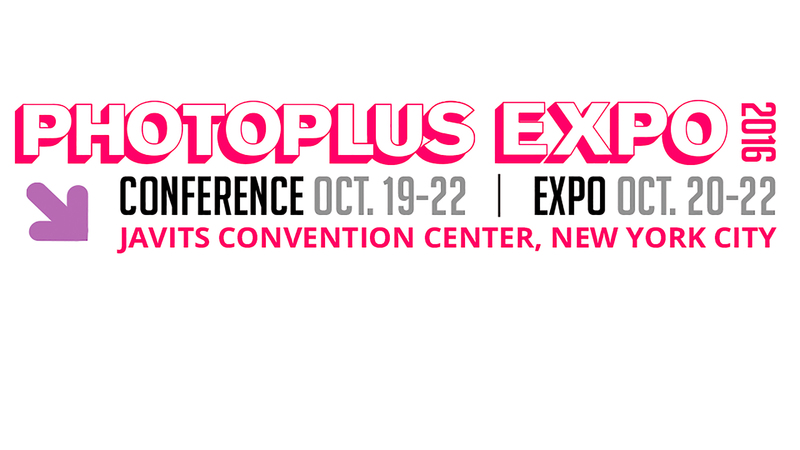 Photo Plus Expo opens Thursday in New York City (October 20-22, 2016), and I think you should be there. This is the largest photography conference in North America, and it opens every October. You can come see the latest from every camera manufacturer, discover accessories you couldn’t imagine living without, and pick up loads of free swag. I make it a point to attend this conference (and others of its sort) as often as possible, even though it involves great expense (but to help you with costs, here’s a free pass compliments of Photofocus). I think you should be there, too, and here are three reasons why it can help you grow your photography and your business. You can see the same educators that will be at PPE on their YouTube channels and Instagram, but that’s nothing like sitting in their classes or listening to them speak on the show floor. When you watch in person, you’ll have the chance to ask your questions either of the speaker or of the people sitting next to you. You’ll also get a chance to meet the instructor and that is fun for both of you. It’s fulfilling for speakers to hear from others that their efforts to teach have made a difference in their student’s lives. You’ll also see the way they work, just where they put the lights and the camera and the resulting pictures. You’ll get to see the whole setup first-hand so that you can try it for yourself later. The keynote speakers alone look incredible, not to mention all your favorite instructors who will be teaching classes. Networking means building relationships with others that are beneficial for one or both of you. At a tradeshow like PPE, you’ll be able to meet in-person your vendors like print labs, gear manufacturers, and service providers. For me, this sort of meeting has led to real relationships. For instance, having met the people who work at my print labs, I know who is doing my printing and I know who to contact to ask about a process or a new medium. That means I can confidently discuss these products with my clients, and that makes me look like a real pro. Even better than talking with my vendors is meeting other photographers. We interact with hundreds of other photographers online, but knowing them in person is a whole different experience, and it’s essential. I often call up friends I’ve made at tradeshows and we get together to practice our photography. I have friends I met in landscape classes and friends I met in portrait classes. This week alone I met up with two different photographers to practice skills I need to use in a shoot in a few weeks. This kind of thing is just plain fun. Not only can you practice with others you meet at shows, but you can also come to trust them and rely on them. I was recently sick and unable to get out of bed, but my client needed me to photograph at an event for her the next day. She couldn’t cancel her event because I was sick, and if I left her without a photographer it would leave a big hole in her plans. Fortunately, I knew two other photographers who had the skills to do what she needed, so I arranged for one to cover for me. My client was well taken care of because I had a relationship with a photographer I met at a tradeshow. You should also come to tradeshows like PPE because it gives you something to talk about with clients and potential clients. You can discuss new ideas and state-of-the-art techniques and it becomes apparent that you are engaged in becoming the best photographer you can be. This will help you stand out from your next-door neighbor who owns the same camera as you. It’s great that your neighbor is into photography, but you are clearly a professional who is striving to improve and stay on top of trends and that kind of dedication is impressive and memorable. At the show, you’ll also have plenty of opportunities to gather content for your blog and press releases. You should get pictures of yourself learning and meeting instructors and vendors and then create press releases about it. Newspapers love to publish bits about their local businesses doing something interesting and will welcome your content. Here’s an article from Skip Cohen all about making press releases and building your own publicity machine, including templates so you don’t have to write from scratch. Don’t forget the best reason to come: Visiting the Photofocus booth and coming on the Photofocus Photowalk! We’ll be at booth #869. Not only is it fun to see the latest gear and accessories and pick up tons of free stuff, but you’ll also grow your skills and your network by meeting instructors and other photographers in-person. Some of my best friends are people I’ve met at tradeshows. Plus, you can use the opportunity to create all kinds of useful publicity for yourself. Attending tradeshows is absolutely worth the cost. I can’t wait to meet you in-person and here again is the link to a free expo pass. I’ll see you at Photofocus’s booth, #869.